BOSTON – Cabot Corporation (NYSE: CBT) and Advanced Glazings Ltd. announce the launch of SOLERA® + Lumira® aerogel R5 daylighting glazing units. The new product joins the groundbreaking suite of SOLERA + Lumira aerogel products. These insulated glass daylighting systems deliver natural light distribution and diffusion as well as superior thermal performance. The SOLERA + Lumira aerogel R5 system is a 1-inch thick panel in which the insulated glass units are filled with Lumira aerogel, the world’s lightest and best insulating solid material. The use of Lumira aerogel diffuses sunlight, removing any interior hot spots, shadows or glare. Compared with gas filled triple-glazed windows, the R5 systems deliver the same level of thermal protection at a similar price. Additionally, the superior full spectrum diffused light from the R5 system provides benefits in light distribution, glare control and permanent performance. The 1-inch thickness of the new R5 unit also makes it easy to install into any standard framing system. Architects and building owners recognize that daylighting has a proven record of increasing human productivity and delivering energy savings. However, as building codes continue to become more stringent, the use of glass in designs has been increasingly challenging for architects. Obtaining thermal efficiency, glare control, lux balance, noise reduction, and aesthetics has often come with trade-offs in complexity of systems and expense. 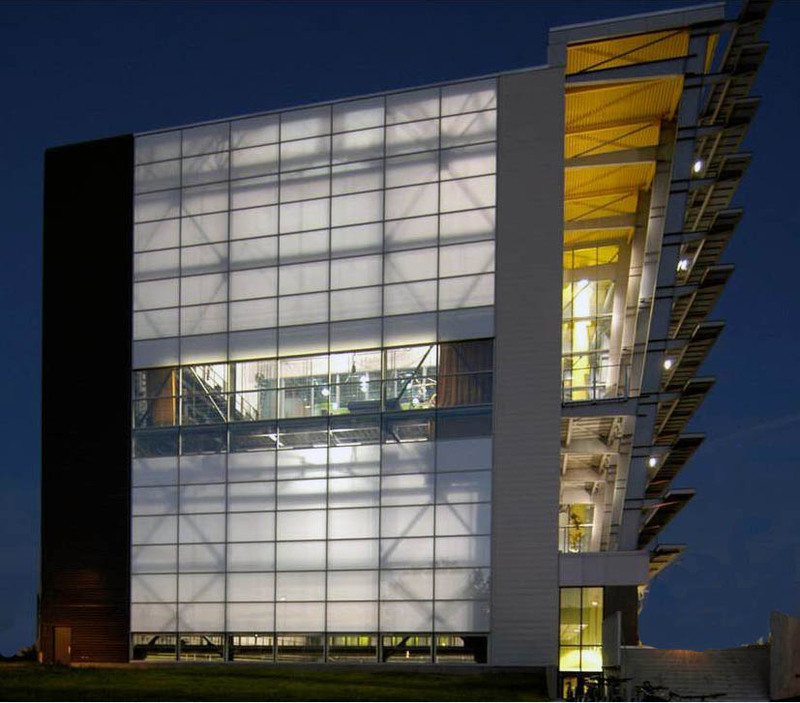 Solera + Lumira aerogel systems enable architects and building owners to affordably and easily meet the challenging requirements of thermal efficiency without compromising optimal daylighting. Unlike other products in the industry that have elements that deteriorate, the new R5 product provides a long lasting insulation and daylighting performance solution. By reducing heat gain and loss, Solera + Lumira aerogel can improve the overall energy efficiency of a building, with less stress on heating and cooling systems. The use of artificial light during the day can also be dramatically reduced, resulting in further energy cost savings. Advanced Glazings Ltd., in collaboration with Cabot Corporation, has also previously developed Solera + Lumira aerogel R18 and R9. These products have been cited by both Architectural Record and National Glass Association as the most innovative products of 2009 and 2010 respectively. For more information about SOLERA with Lumira aerogel daylighting systems visit Cabot Aerogel at Greenbuild booth #1221S and Advanced Glazings Ltd. at booth #1913S. Lumiraaerogel, Cabot’s branded aerogel, is a hydrophobic aerogel produced as particles. Each particle consists largely of air, greater than 90 percent, contained in a structure with pore sizes less than the mean free path of air molecules, which severely inhibits heat transfer through the material. Cabot produces Lumira aerogel in a state-of-the-art manufacturing facility located near Frankfurt, Germany where it began commercial production in 2003. Cabot certifies it has completed the EU REACH pre-registrations required for all Cabot aerogel products. For more information about Lumiraaerogel please visit www.cabotaerogel.com. Cabot Corporation (NYSE: CBT) is a global specialty chemicals and performance materials company, headquartered in Boston, Massachusetts. The company is the world’s No. 1 producer of rubber and specialty grade carbon black, activated carbons, inkjet colorants and cesium formate drilling fluids and has market-leading positions in fumed silica, aerogel, and elastomer composites. For more information on Cabot, please visit the company’s website at: http://www.cabotcorp.com. Advanced Glazings Ltd. (www.advancedglazings.com) has developed a line of glass glazing products that effectively daylight buildings by diffusing direct sunlight, reducing glare and driving light deeper into interior spaces. Solera® units improve indoor light quality and energy efficiency. In 2009 Solera launched its line of Solera R18 units with Lumira aerogel (formerly Nanogel® aerogel) units to provide a robust and stabilized aerogel solution. The result is the highest insulated daylighting units in the world. Designed in a standard insulated glass format, these units can be handled and installed by any glazing contractor and work with any industry standard glass framing system. Now this technology is available in R9 and R5 products that optimize cost and performance benefits. Founded in 1995, Advanced Glazings Ltd. develops, manufactures and markets sustainable and commercially viable technologies related to sunlight.